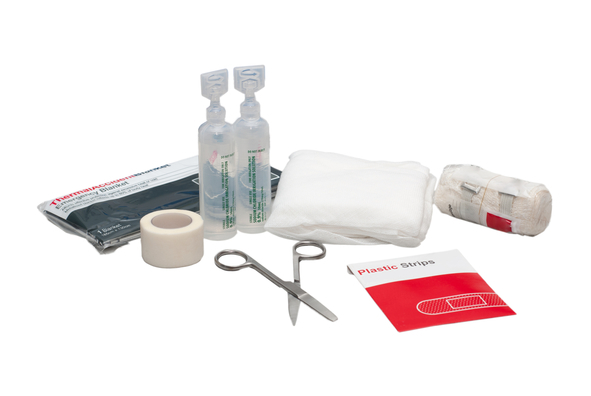 One of the most important items of any first aid kit are the bandages. You will want to have an array of different kinds of bandages that can accommodate the situations you usually find yourself in. It is a good idea to pack adhesive bandages as well. Every first aid kit should have some form of disinfectant to clean wounds and to prevent infection. There are many kinds of disinfectants to choose from, such as alcohol and antiseptic wipes. Your local pharmacy in Spring Hill, Florida can help you find the best products. It is important to include a variety of tools in a first aid kit. Some good tools to have are sharp scissors, splints, non-latex disposable gloves, tweezers, thermometers, and medical tape. Getting injured can be a very painful affair. To help make things easier while you wait for medical professionals to arrive, it is important to have a few mild painkillers in your first aid kit. Some good options are aspirin, acetaminophen, and ibuprofen. Having a first aid manual can be a lifesaver. These manuals provide step by step procedures on how to render crucial first aid in emergency situations. This can help a lot when you do not have a lot of experience or when you are unable to stay calm. Those are just a few of the many essentials that you should include in your first aid kit. We also have some of the most affordable and high-quality health care supplies in Florida, to make it easier for you to create your first aid kit. If you would like to find out more about our services and how we can help you, please feel free to get in touch with 4 Corners Pharmacy anytime. This entry was posted in First-Aid Kit and tagged compounding pharmacy, convenient services, Healthcare Supplies. Bookmark the permalink.